Cloud, 5G, IoT and Streaming Media present significant opportunities for network providers. The selection of Network Service Orchestration is the most important decision to maximize revenue potential and business agility. 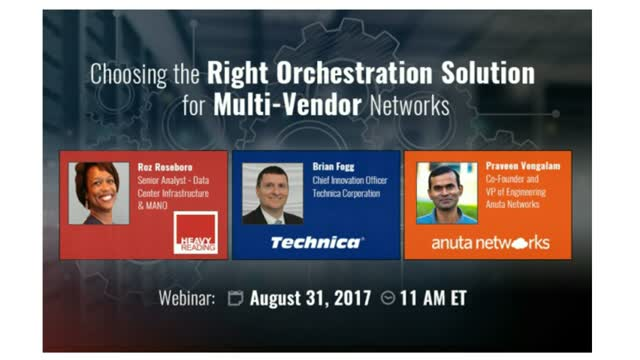 In this webinar, Heavy Reading Analyst Roz Roseboro discusses with experts from Technica Corp and Anuta Networks regarding the best practices for selecting and implementing the appropriate Network Orchestration Solution for multi-vendor environments. 2. Brian Fogg, Chief Innovation Officer, Technica Corp.